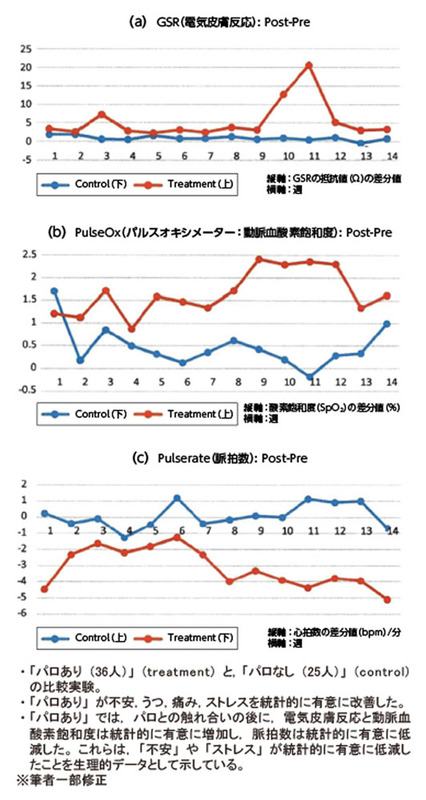 1) Shibata, T. Therapeutic seal robot as biofeedback medical device: Qualitative and quantitative evaluations of robot therapy in dementia care. Proceedings of the IEEE, 2012, vol. 100, iss. 8, p. 2527-2538. 2) “統計トピックス No.97 統計からみた我が国の高齢者（65歳以上）:「敬老の日」にちなんで”. 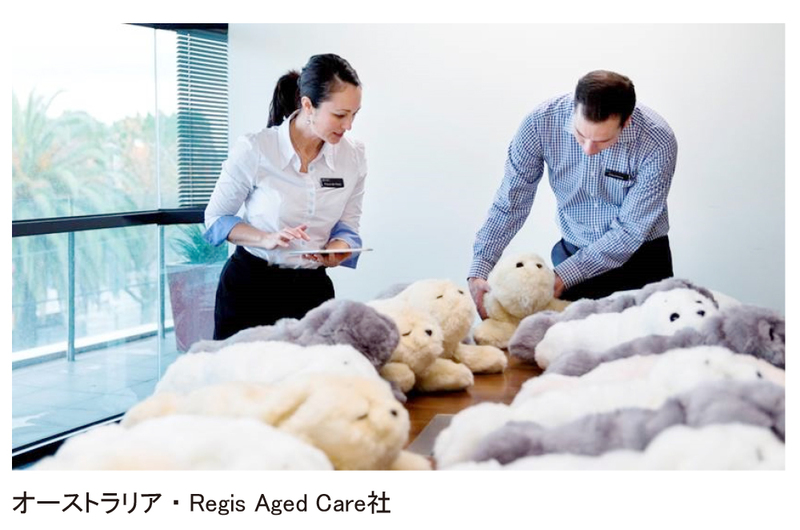 総務省. http://www.stat.go.jp/data/topics/pdf/topics97.pdf, (accessed 2017-04-25). 3) “介護保険事業状況報告の概要：平成29年2月暫定版”. 厚生労働省. 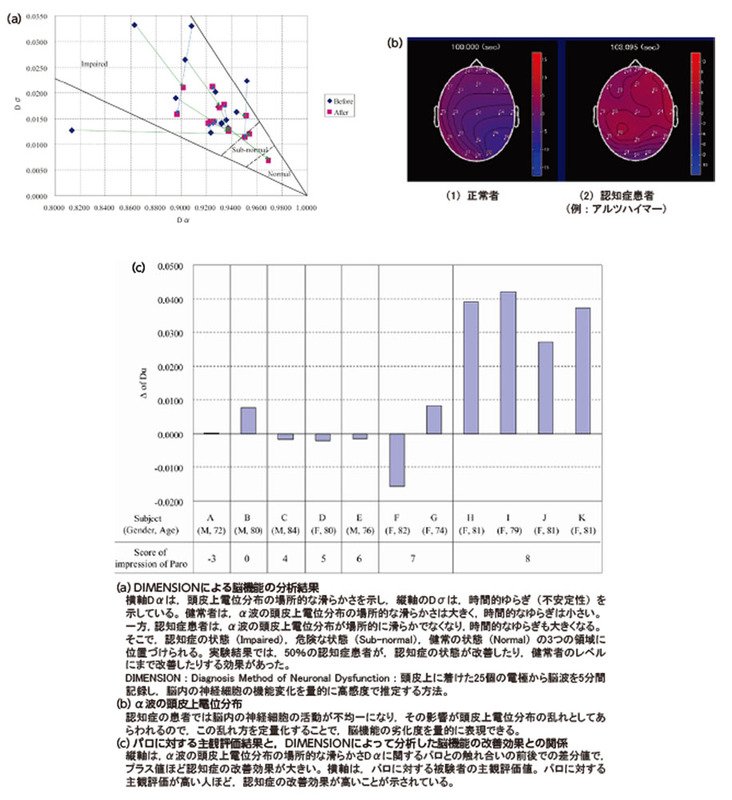 http://www.mhlw.go.jp/topics/kaigo/osirase/jigyo/m17/dl/1702a.pdf, (accessed 2017-04-25). 4) “介護サービス施設・事業所調査：調査の結果：用語の解説”. 厚生労働省. http://www.mhlw.go.jp/toukei/list/24-22-2b.html#link01, (accessed 2017-04-25). 5) Kitwood, Tom. Dementia reconsidered: The person comes first. Open University Press, 1997, 176p. 6) “平成28年版高齢社会白書（概要版）：3 高齢者の健康・福祉”. 内閣府. http://www8.cao.go.jp/kourei/whitepaper/w-2016/html/gaiyou/s1_2_3.html, (accessed 2017-04-25). 7) World Alzheimer report 2015. Alzheimer's Disease International. 2015, 82p. 8) 柴田崇徳. “戦略的創造研究推進事業 発展研究（SORST）研究終了報告書：人とロボットの持続的相互作用に関する研究”. 科学技術振興機構, 2008, 15p. 9) Shibata, T. et al. Trends of Robot Therapy with Neurological Therapeutic Seal Robot, PARO. Journal of Robotics and Mechatronics. 2014, vol. 26, no. 4, p. 418-425. 10) Kawaguchi, Y. et al. 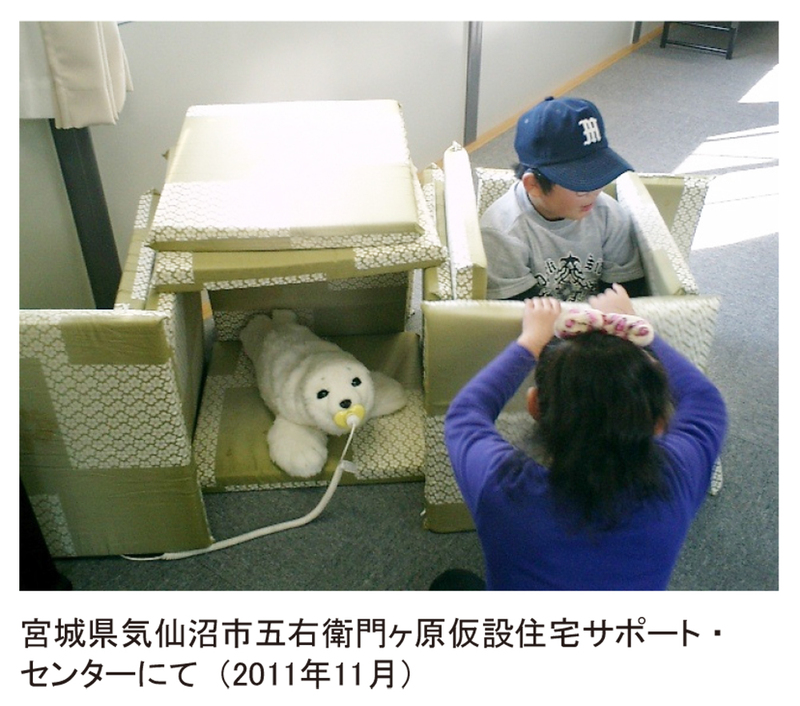 "Investigation of brain activity during interaction with seal robot by fNIRS". Proceeding of 2011 RO-MAN: The 20th IEEE International Symposium on Robot and Human Interactive Communication. Atlanta, 2011-07-31/08-03. IEEE, 2011, p. 308-313. 11) Moyle, W. et al. Exploring the effect of companion robots on emotional expression in older adults with dementia: A pilot randomized controlled trial. Journal of Gerontological Nursing. 2013, vol. 39, no. 5, p. 46-53. 12) “世界一の癒し効果，アザラシ型ロボット「パロ」，いよいよ実用化”. 産総研. 2004-09-17. http://www.aist.go.jp/aist_j/press_release/pr2004/pr20040917_2/pr20040917_2.html, (accessed 2017-04-25). 13) Robinson, H. et al. The psychosocial effects of a companion robot: A randomized controlled trial. Journal of the American Medical Directors Association. 2013, vol. 14, no. 9, p. 661-667. 14) Jøranson, N. Effects on symptoms of agitation and depression in persons with dementia participating in robot-assisted activity: A Cluster-randomized controlled trial. Journal of the American Medical Directors Association. 2015, vol. 16, iss. 10, p. 867-873. 15) Bemelmans, R. Effectiveness of robot Paro in intramural psychogeriatric care: A multicenter quasi-experimental study. Journal of the American Medical Directors Association. 2015, vol. 16, iss. 11, p. 946-950. 16) Jøranson, N. Change in quality of life in older people with dementia participating in Paro‐activity: A cluster‐randomized controlled trial. Journal of Advanced Nursing. 2016, vol. 72, iss. 12, p. 3020-3033. 17) Robinson, H. Physiological effects of a companion robot on blood pressure of older people in residential care facility: A pilot study. Australasian Journal of Ageing. 2015, vol. 34, no. 1, p. 27-32. 18) Lane, G. W. et al. 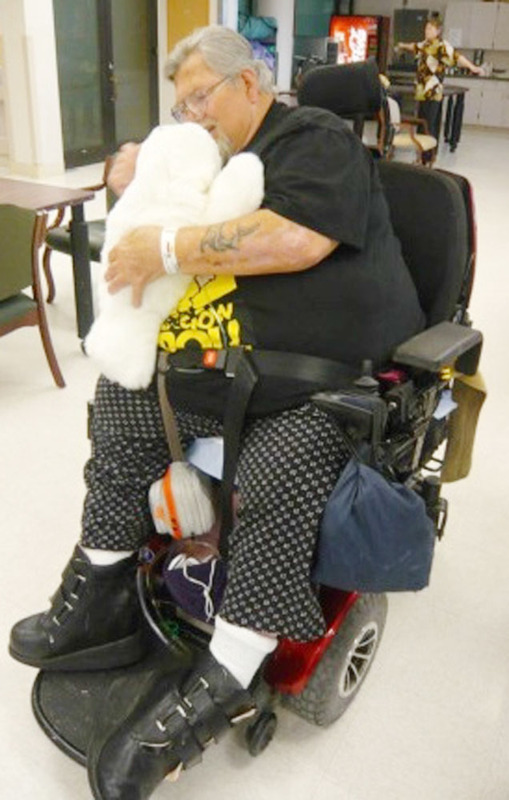 Effectiveness of a social robot, "Paro," in a VA long-term care setting. Psychological Services. 2016, vol. 13, iss. 3, p. 292-299. 19) Petersen, S. et al. 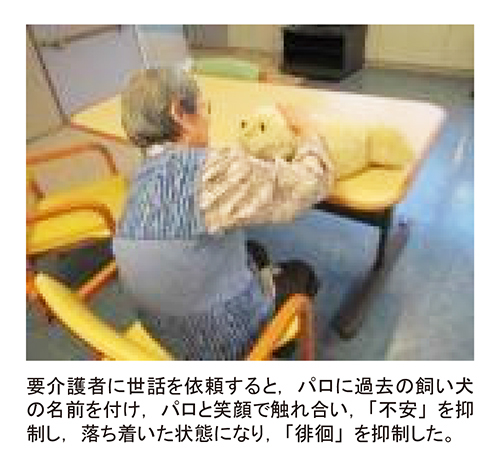 The utilization of robotic pets in dementia care. Journal of Alzheimer's Disease. 2017, vol. 55, no. 2, p. 569-574. 20) “第1～6回「アザラシ型ロボット・パロによるロボット・セラピー研究会」抄録集”. 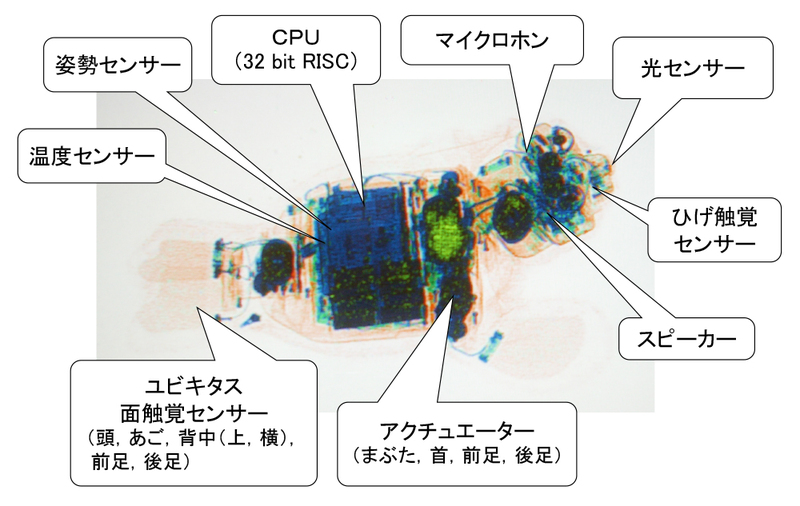 知能システム. http://intelligent-system.jp, (accessed 2017-04-25). 21) Burton, A. Dolphins, dogs, and robot seals for the treatment of neurological disease. Lancet Neurology. 2013, vol. 12, no. 9, p. 851-852. 22) Moyle, W.; Jones, C.; Murfield, J.; Thailib, L.; Beattie, E.; O'Dwyer, S.; Mervin, C.; Draper, B. 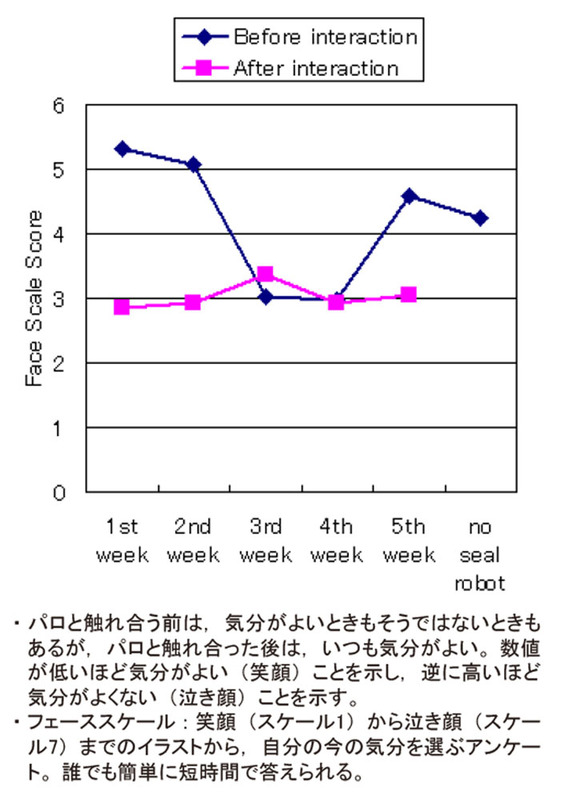 Use of a robotic seal as a therapeutic tool to improve dementia symptoms: A cluster-randomised controlled trial. JAMDA (in press, accepted 29 March 2017). 23) Shibata, T. et al. "Emotional robot for intelligent system-artificial emotional creature project". Robot and Human Communication, 1996., 5th IEEE International Workshop on. Tsukuba, 1996-11-11/14. IEEE, 1996, p. 466-471. 24) Normile, D. Will humans be more comfortable living with robots that look less like machines and more like pets-or ourselves?. Science. 2014, vol. 346, iss. 6206, p. 188-189.